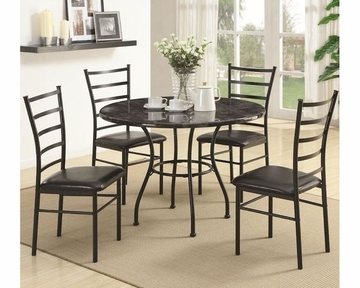 Blending simple style and earnest elegance with ease, this five-piece dining set is sure fit into almost any decor. The dinner table features a round faux marble top with either brown or gray tones as well as a sturdy, brown or black finished metal base. In addition, the matching side chairs consists of a ladder-designed back and durable vinyl seats, which provides added comfort. 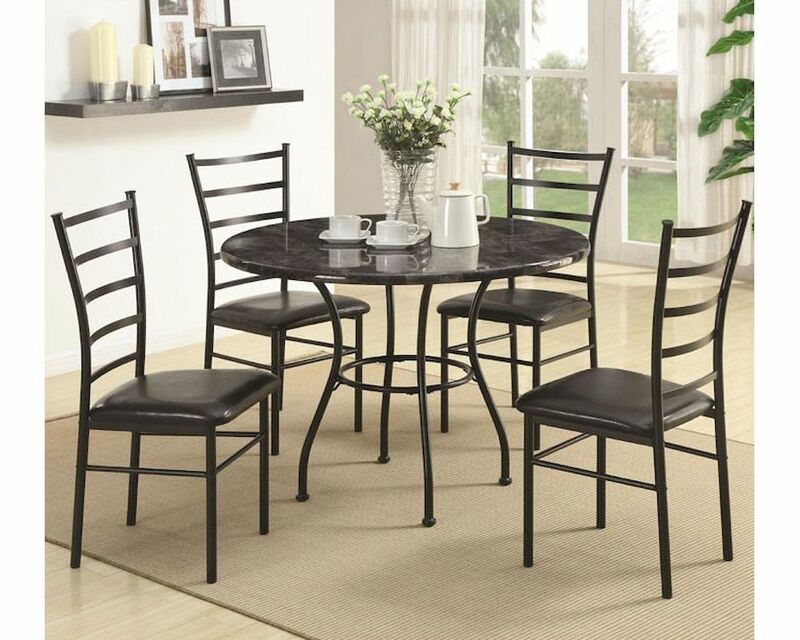 You'll be set with this dining set in your home.